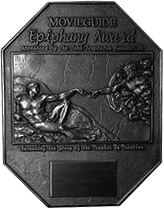 The Epiphany Prize for Inspiring Movies & TV is awarded to popular, entertaining movies and television programs that are wholesome, spiritually uplifting, inspirational, redemptive and moral. 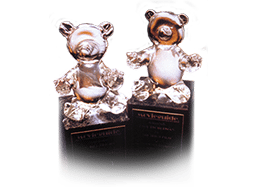 The core of the Movieguide® awards are the 10 best films for family audience and 10 best films for mature audiences which are chosen for their moral and spiritual principles, as well as their production values. They tell a story that is both redemptive and inspiring to their audiences. Awarded annually to an actor or actress in a motion picture or television program who exemplifies God’s grace and mercy toward us as human beings through their outstanding performance. The Faith & Freedom Awards for Promoting Positive American Values are awarded for entertainment value, for craftsmanship, and for creating programming that is uplifting, moral, insightful, compassionate, and that shows America and its people in a positive light. The Faith and Freedom Awards are given to the one movie and/or one TV program that do the most to improve cultural understanding between Americans and people of other countries by showing a positive or more balanced view of America and Americans, including presenting the best of American values such as liberty, religious freedom, freedom of speech, the right to vote, property rights, proper compassion for others, protection of the innocent, the right to due process, the right to life and to pursue happiness, the rule of the law, democracy, capitalism, personal responsibility, the right to bear firearms, and a believe in limited and responsible government, equal justice under the law, and government by the consent of the governed. Supported by Pure Flix Streaming, the Kairos Pro Prize for Inspiring Screenplays by Established Filmmakers seeks to promote positive change in the motion picture industry. The primary purpose of the prize is to further the influence of moral and spiritual values within the entertainment industry as a whole.